If the Marine Corps is serious about getting ready to take on a near-peer enemy like China in the future, then it’s time to fold its 13-year-old special operations command and apply those resources elsewhere. 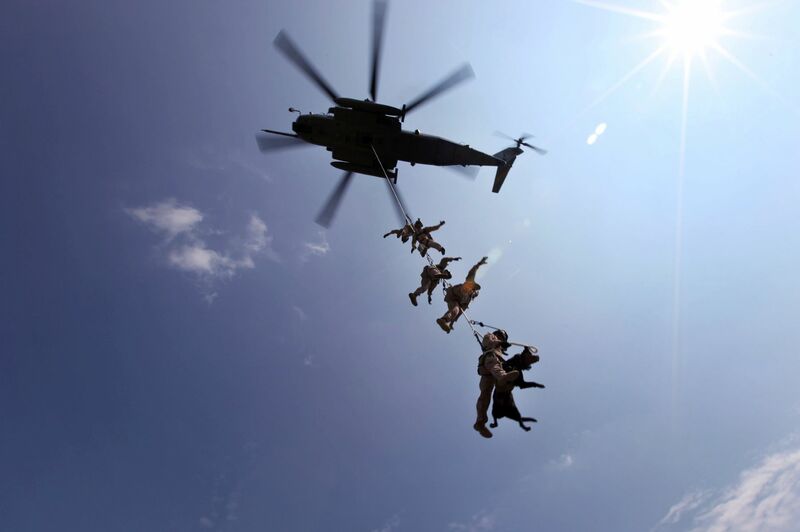 At least that’s the argument one retired Marine officer made this week while presenting ways the service can better prepare for large-scale naval operations – and it’s causing quite a stir in the Marine Corps special operations community. Dakota Wood, who worked as a strategist at Marine Corps Forces Special Operations Command from 2012-2013, released a 60-page report on Thursday titled “Rebuilding America’s Military: The United States Marine Corps.” It was published by the Heritage Foundation, a conservative Washington think tank where Wood serves as senior research fellow for defense programs. Wood’s call to disband the command comes after the Marine Corps released its 2020 budget request, revealing plans to increase the number of MARSOC billets. But the 2,700 Marines already assigned to MARSOC do more to benefit U.S. Special Operations Command than they do the Marine Corps, Wood wrote. “The Corps’ commitment to MARSOC, while a boon to SOCOM and the good work it does for the country, is an opportunity cost for the Corps and the work that only it can do, as opposed to SOCOM’s role and the contributions long made to its mission by the Army, Navy and Air Force,” he said. For Marine Raiders who fought for a place within U.S. Special Operations Command over the past 13 years, Wood’s suggestion falls flat. MARSOC’s critical skills operators were essential in Iraq and Afghanistan, for example, said Nick Koumalatsos, who spent 12 years with the command and in the Marine Corps reconnaissance community. Dissolving MARSOC now, he said, would be a huge blow. The Marine Corps also can’t operate in a vacuum, where it doesn’t have a connecting line to SOCOM, said Prime Hall, a former Raider and water-survival instructor. Koumalatsos agreed. The entire military, he said, benefits from MARSOC’s relationship with SOCOM and the other branches. “We can’t just go over here and color with our own coloring books and not have any friends,” he said. Wood said he isn’t advocating for a stovepiped, parochial Marine Corps that is unwilling to work with the other services. If the Marine Corps is going to focus on its naval power as a top priority, which he argues it should, it’s going to need the other services to push leathernecks from the sea to fight on land. While they met the challenge, creating well-trained and professional special operators, the ongoing effort to equip MARSOC pulls resources away from the Marine Corps’ main mission, which is going to need all the manpower and money possible if a big conflict breaks out in the Asia-Pacific region, he said. “It’s going to be against someone else,” he said. That’s why removing the Marine Corps’ highly trained, unconventional assets doesn’t make any sense, Koumalatsos said. The next fight is likely to include technological threats, the internet and asymmetrical warfare. Why get rid of those who’ve trained for and operate in that space, he said. Raiders also benefit the Marine Corps by helping streamline the often slow acquisition of new technology and gear, Hall added. SOCOM also invests in a lot of the training and education for Raiders, Koumalatsos, so the Marine Corps isn’t footing the command’s whole bill. The Raider battalions also have an important place in the Marine Corps’ legacy, and to see someone advocating to again remove them is disheartening, Ackerman said.